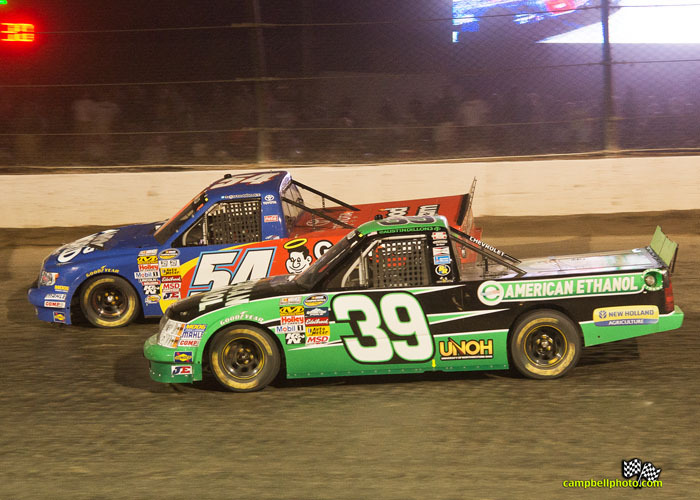 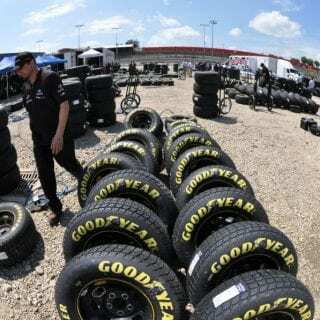 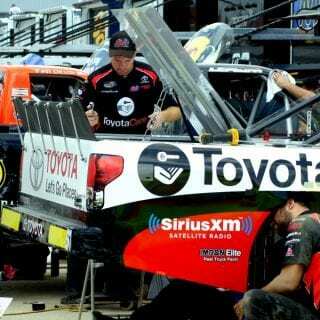 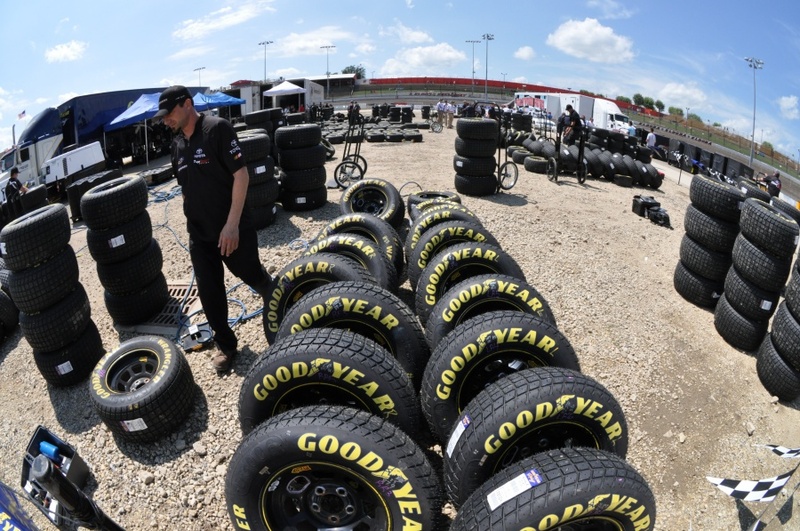 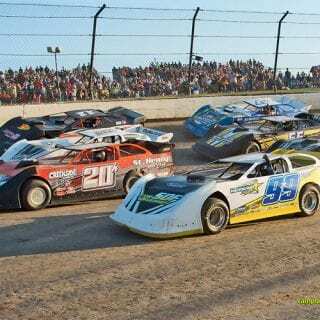 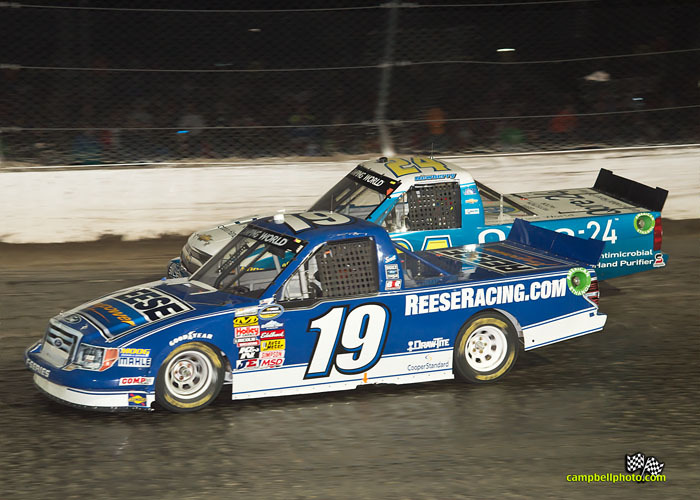 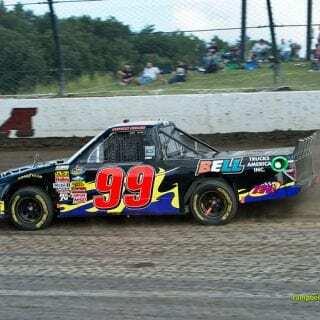 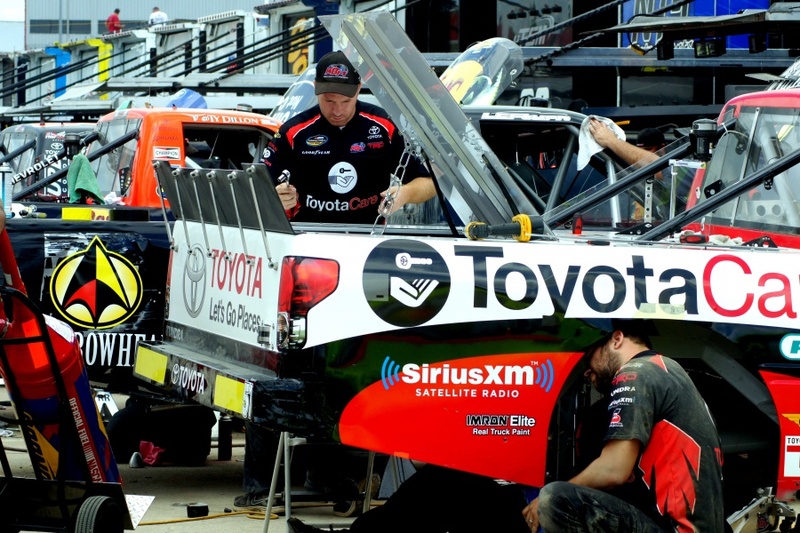 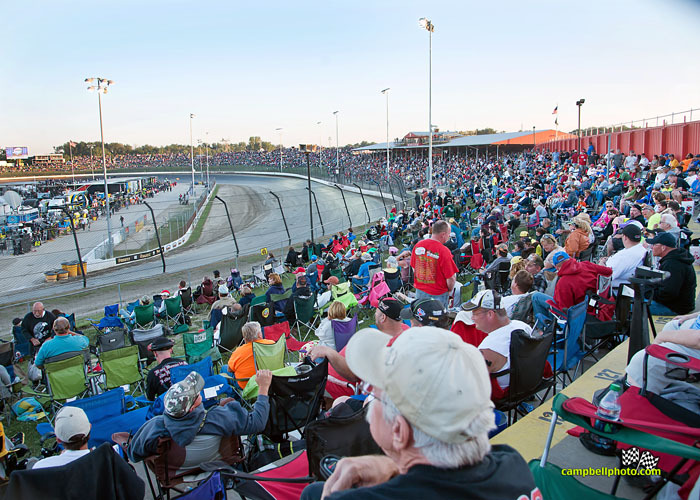 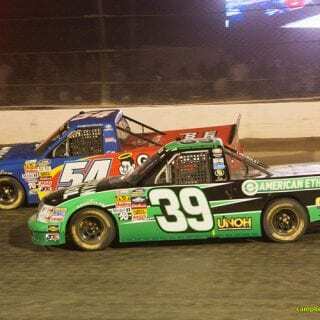 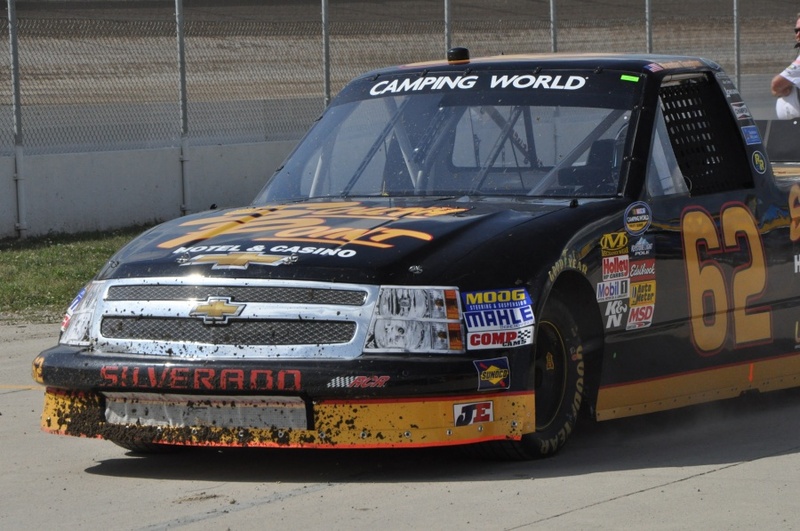 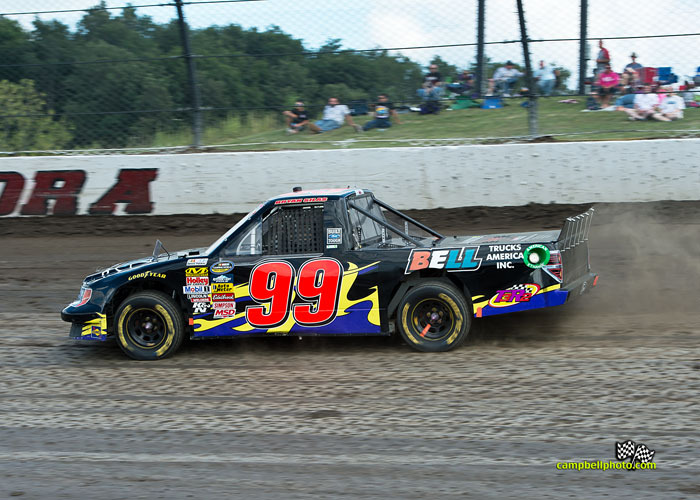 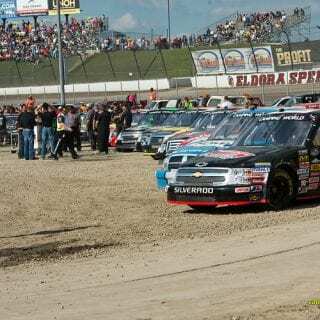 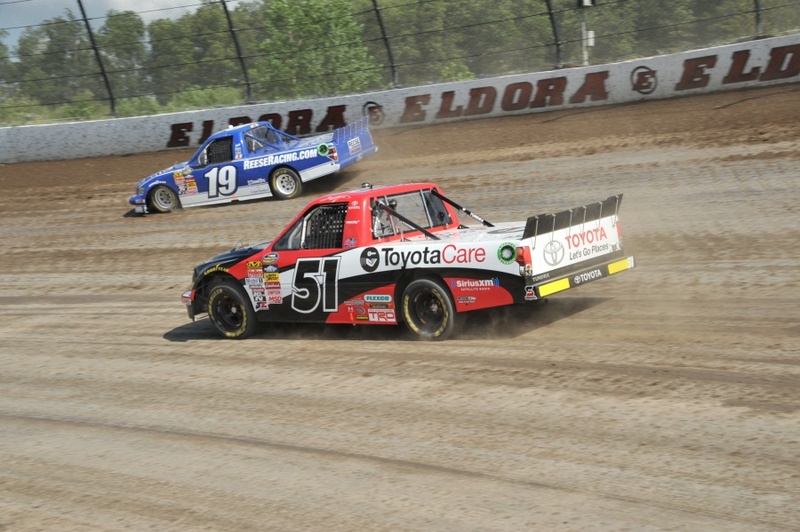 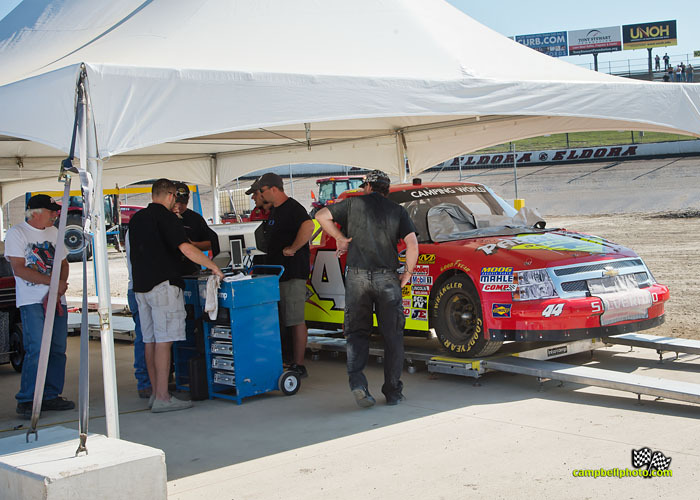 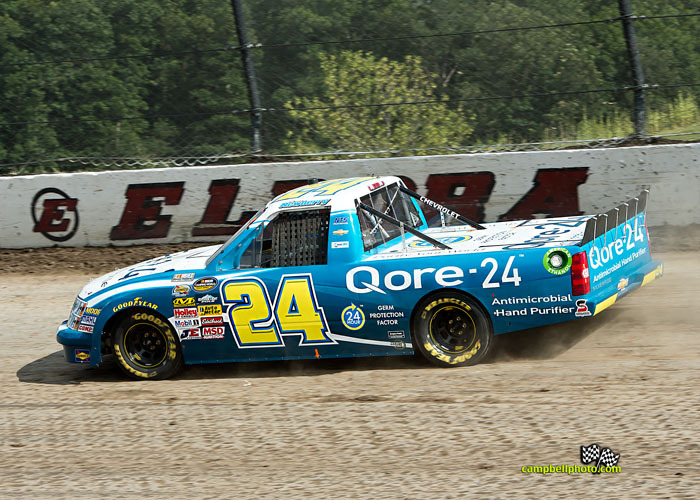 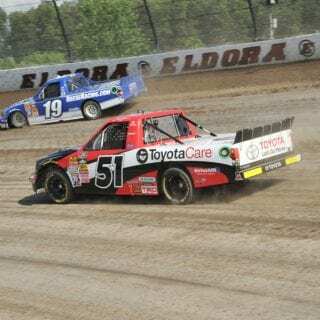 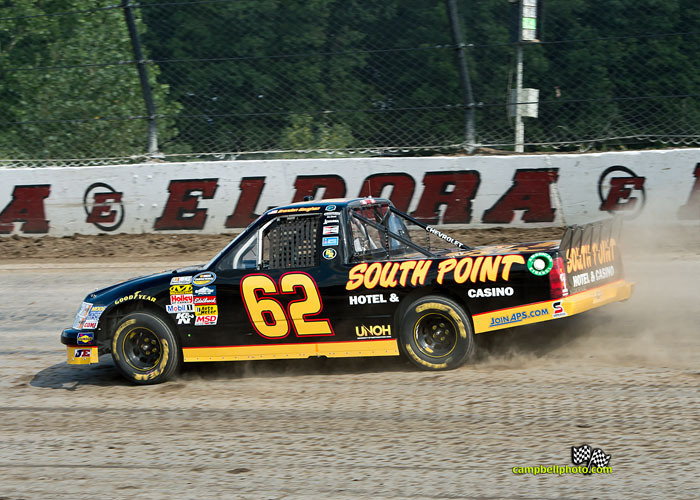 ROSSBURG, Ohio — Austin Dillon returned to the NASCAR Camping World Truck Series the same night NASCAR returned to dirt. 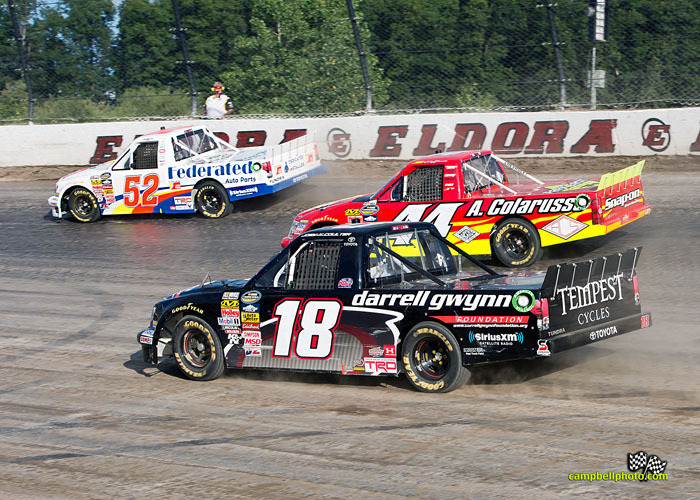 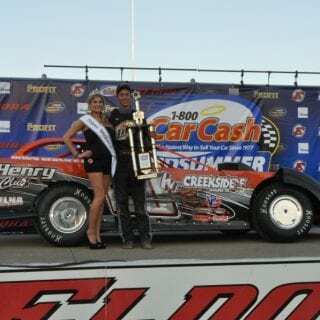 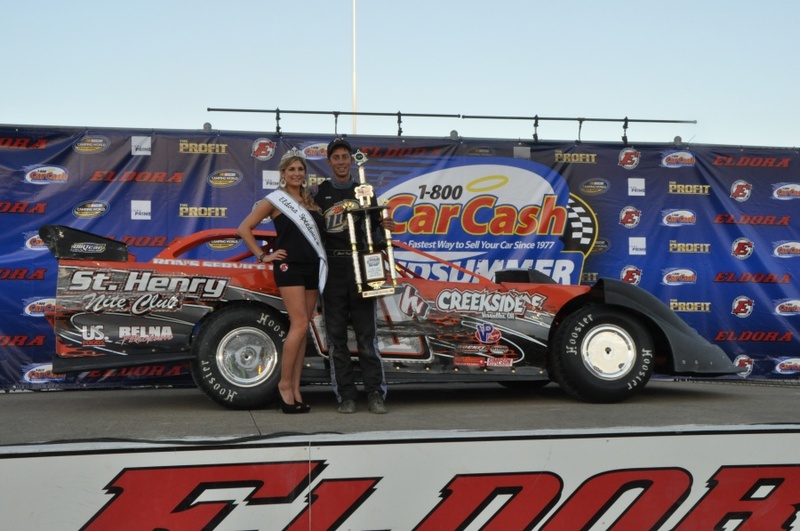 Racing in the series for the first time since winning the 2011 championship, Dillon pulled away during a green-white-checkered-flag finish to win Wednesday night’s CarCash Mudsummer Classic at Eldora Speedway, the first dirt-track race in any of NASCAR’s top three series since Richard Petty triumphed at the North Carolina State Fairgrounds in Raleigh, N.C., on Sept. 30, 1970. 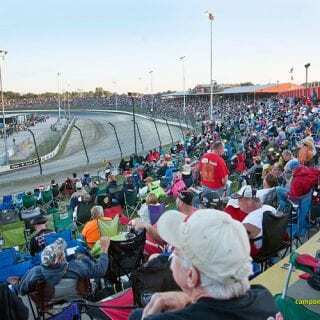 Adroitly using his dirt-track experience to work his way through traffic, Larson charged from his 13th-place starting position to the lead during the first 60-lap segment of the race. 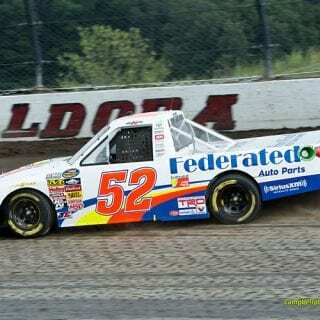 On Lap 39, Larson passed Timothy Peters for the top spot and pulled away to a lead of more than 3 seconds. 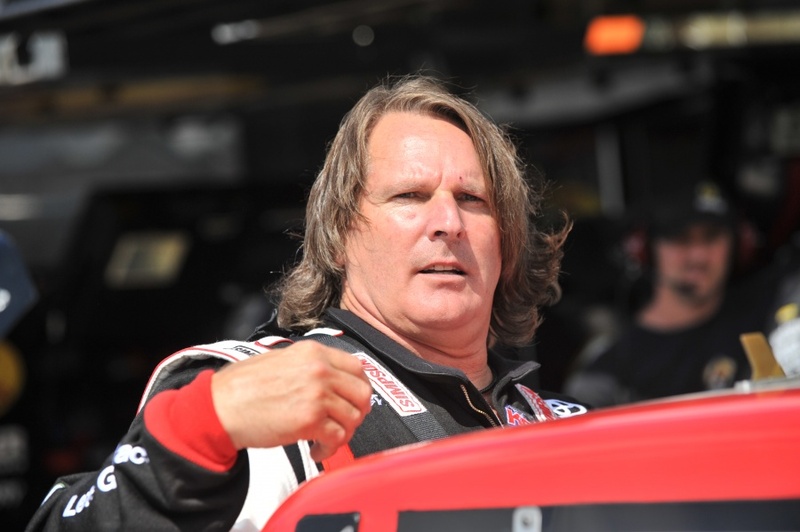 On Lap 54, NASCAR called a caution after debris from Scott Bloomquist’s Toyota landed in the racing groove, and that yellow carried over through the end of the first segment. 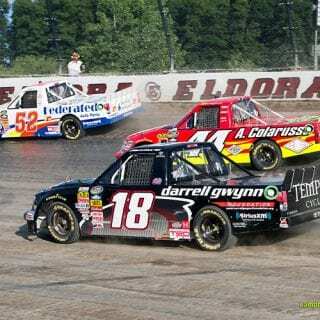 To Larson, Dillon’s pass in traffic on Lap 89, and a caution a lap later — moments after Larson had regained the top spot — were decisive. 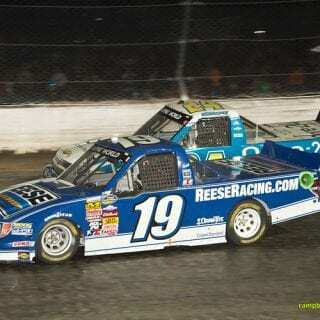 Dillon kept the lead for a restart on Lap 97 because Dillon had been in front at the last scoring loop before the yellow. 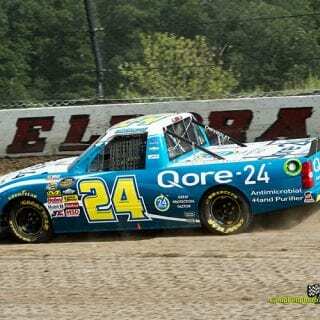 “I was getting through traffic really good, and I spent a few laps behind that truck — I think it was the 77 (German Quiroga),” Larson said. 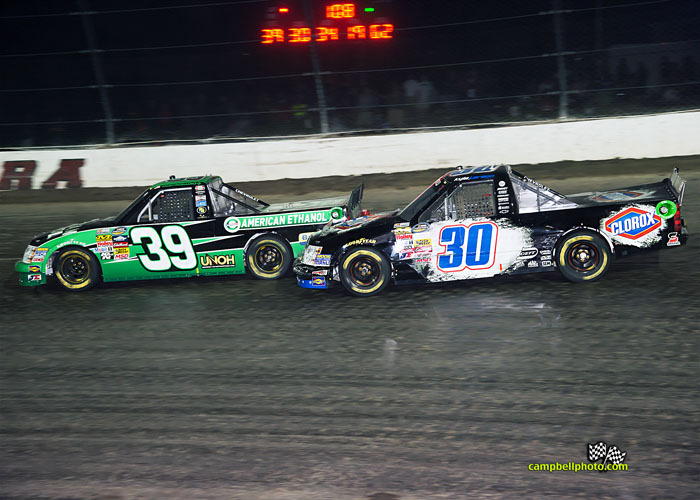 “I was just getting a little bit impatient, and I got into his left rear with my right front. 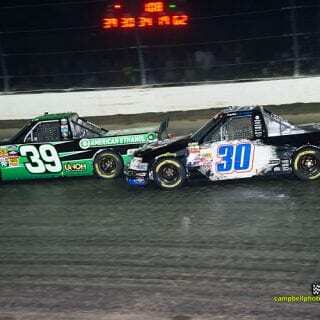 It kind of jerked the wheel right out of my hand and got me all out of shape. 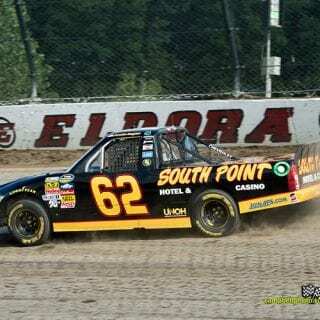 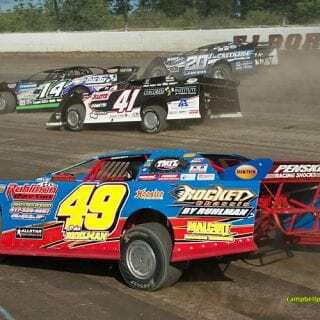 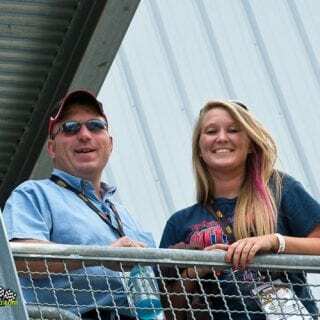 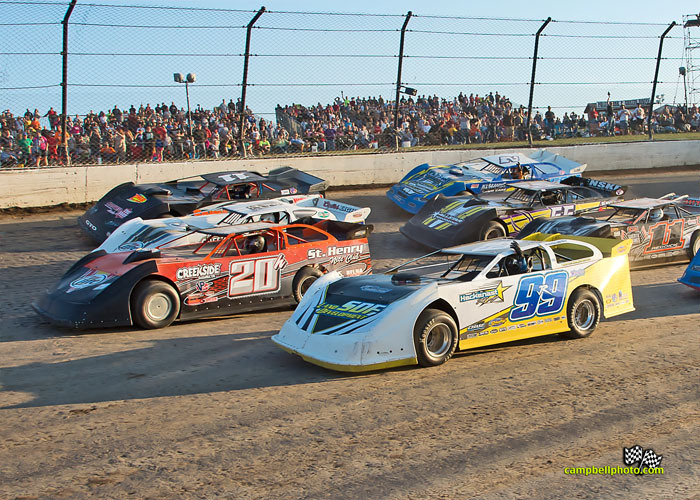 Though a series of five heat races determined the starting order for the main event, Ken Schrader, 58, earned the distinction as the Keystone Light Pole winner during time trials that preceded the heats. 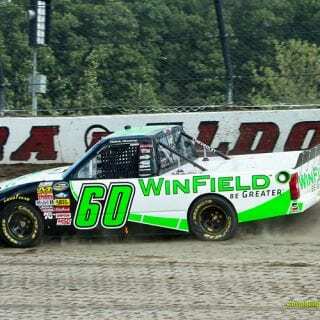 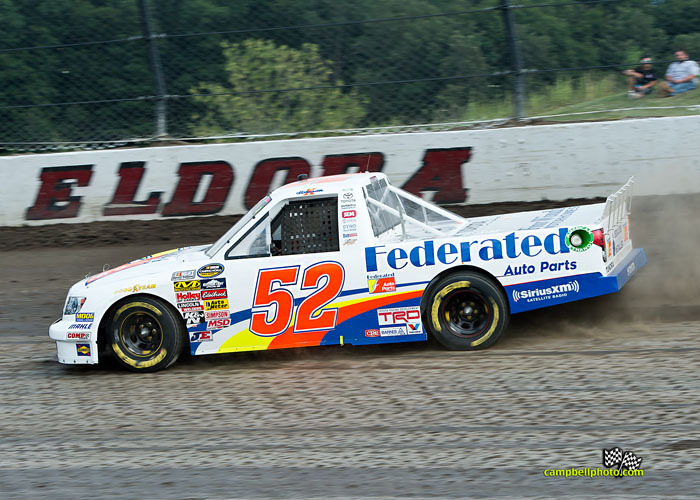 Benefiting from an early draw, Schrader covered the half-mile distance in 19.709 seconds (91.329 mph) to become the oldest pole winner in any of NASCAR’s top three touring series. 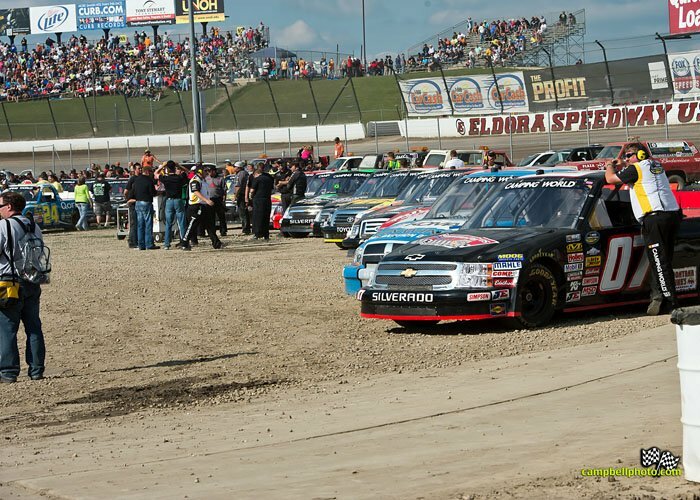 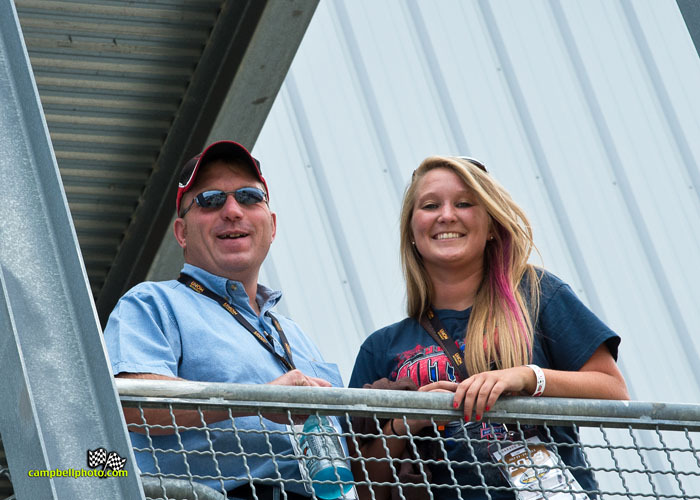 “There’s been more hype for this race — I’m thinking back — since the inaugural Brickyard 400 (in 1994),” Schrader said. 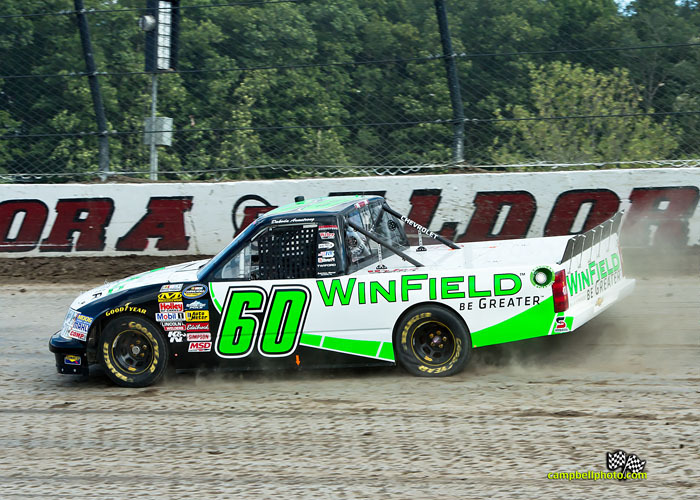 Most emblematic of the occasion, however, wasn’t Schrader starting up front. 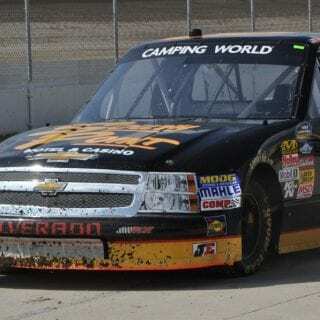 It was 61-year-old Norm Benning taking the green from the back of the field — and the fight he put up for the privilege of doing so. 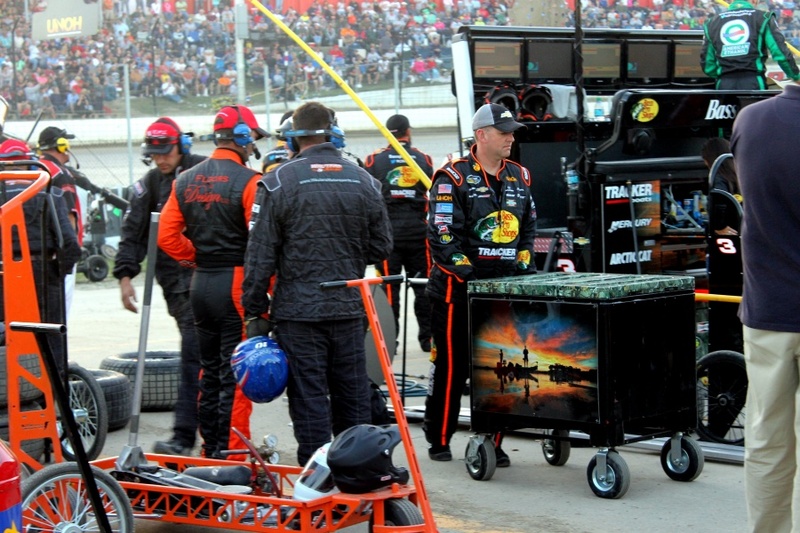 Afterwards, crew members and fellow drivers alike congratulated the veteran racer. 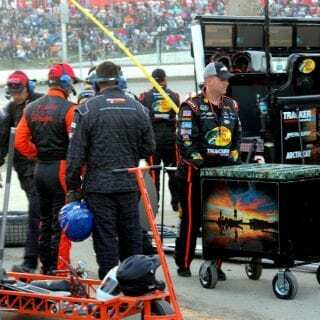 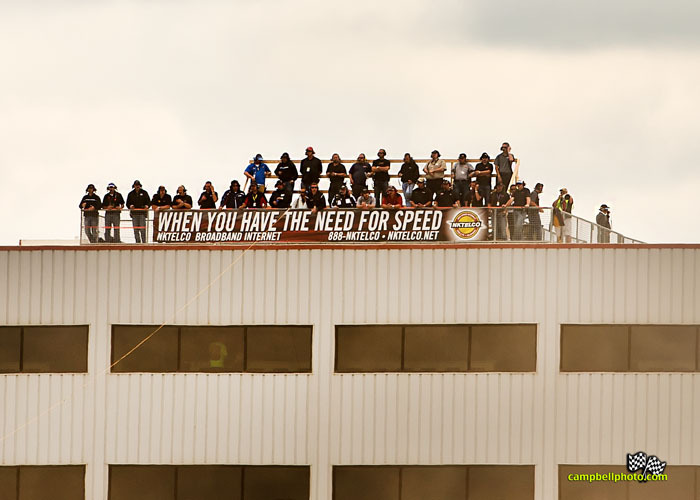 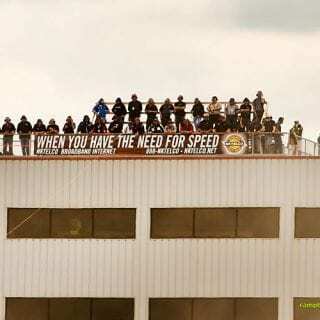 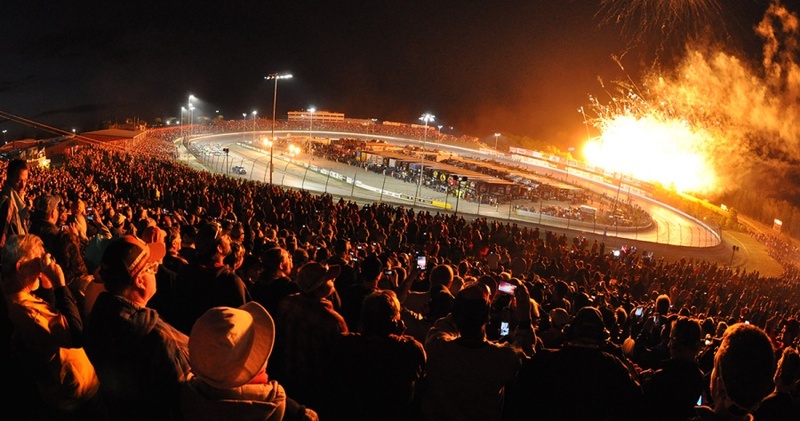 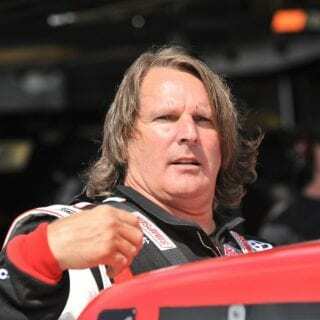 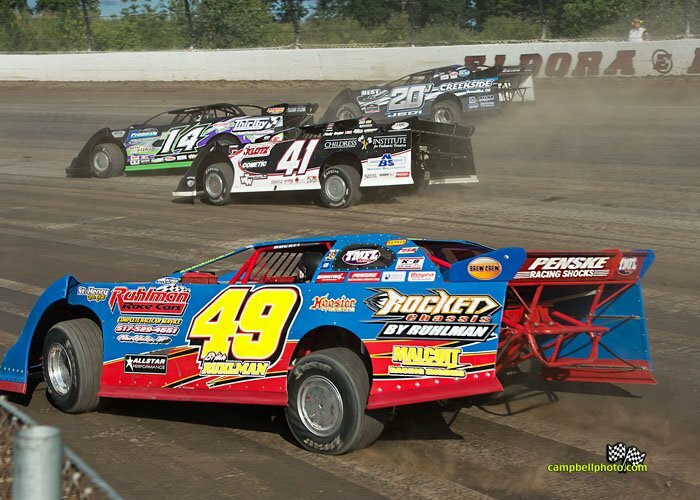 Yes, Benning had just finished fifth in a last-chance qualifier, but the way he did it captured perfectly the mood at NASCAR’s first national series dirt-track race in 43 years.